I spy, with my little eye, something beginning with DLC. 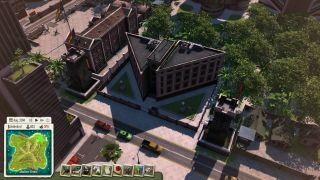 It's a new expansion for cheery political corruption simulator Tropico 5, and it's all about espionage. The plainly named Espionage expansion adds a new campaign—The Maltese Toucan—in which El Presidente is tasked with protecting the island's precious treasures from foreign spies. To help, there's a bunch of new buildings based around spies and the military. There are also some new island layouts, new sandbox tasks and—thank the great dictator—some new music tracks. There's a price to pay for Espionage, though. Specifically, £15/$20. This is Tropico 5's second expansion DLC. The first was all about water, and the things that are in it. Tropico 5 itself is a city builder about creating and governing a banana republic. It's pretty good, albeit not a massive progression from previous instalments.